A Deputy Minister of Finance and Economic Planning, Mr Kwaku Agyeman-Manu,has given the assurance that the government will break the monoply enjoyed by the state-owned insurance and reinsurance companies to enhance competition and efficiency. He said that the government was revising the Insurance Law of 1989 and the Insurance Regulation Law of 1990 to bring insurance practices in Ghana to international standards. Mr Agyeman-Manu said this in Accra at the launch of two new life insurance products by Unique Insurance Company Limited, the Unique Workers Plan and the Unique Prestige Policy. “The government is working so hard to get the Long-Term Savings Bill enacted, which is aimed at encouraging long- term savings through tax incentives,” he said.On the two products, the deputy minister said, “This is a manifestation of good corporate management on the part of Unique Insurance Company, to have strategised to take good advantage of a very good initiative by the government to encourage long-term savings in the country, with the view to mobilising long-term capital for the growth and prosperity of the nation”. He announced that work on the Insurance Industry Training Centre (IITC) had been completed and that arrangements were going on to design courses, arrange affiliations and engage staff to ensure that training programmes aimed at enhancing manpower development in the insurance industy in Ghana, as well as the West African sub-region, commenced early next year. The Commissioner of Insurance, Ms Josephine Amoah, said the right macro-economic environment had been created, tax incentives were being introduced, and the capital market was fast expanding and, therefore, urged insurance companies to take advantage of them to promote life business. 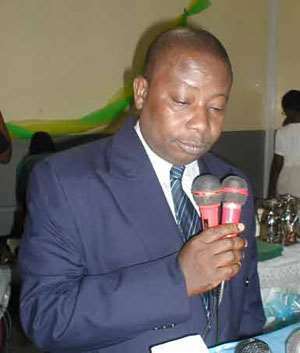 She called on insurance companies to go beyond developing products for the formal sector and develop a comprehensive marketing strategy to promote life business.The Managing Director of Unique Insurance Limited, Mr Victor Kusi-Yeboah, stated that “in Ghana, the levels of disposable incomes are relatively low”, explaining that that situation did not encourage personal savings or adequate investment in life insurance products. He said that had been worsened by the fact that a significant percentage of the population were still illiterate.He, therefore, called on operators in the insurance industry to enbark on a comprehensive publicity compaign that stressed the positive side of life insurance. Mr Eusebius Kwame Agbesi, a mathematics teacher at the Afienya D\A JSS, was given a one-year premium of the Unique Workers Plan.